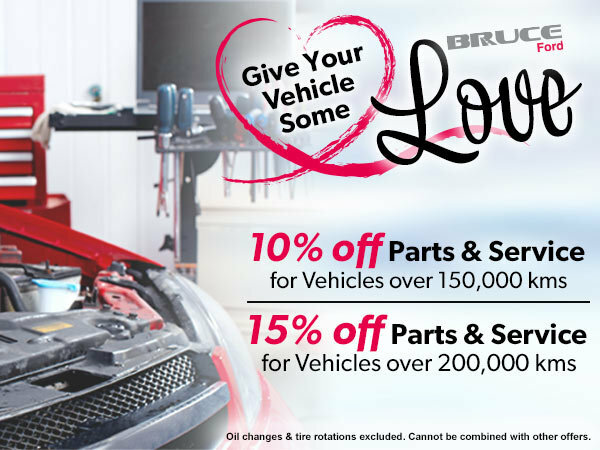 Home > Special Offers > Parts & Service > Give Your Vehicle Some Love This February! Give Your Vehicle Some Love This February! Bruce Ford knows that even older vehicles need some love! Bring your 150,000 km.+ vehicle in for service and receive 10% off Service and Parts. Get 15% off if your vehicle has over 200,000 km. Excludes oil changes and tire rotations. Cannot be combined with other offers. See your service advisor for more details.